Mamas, May the FORCE Be With You! 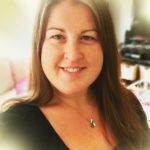 To close our Mothers Blog series for May, PCHA is delighted to have guest writer Jennifer Page, probably best known to you as Mini Darth Vader’s mom! 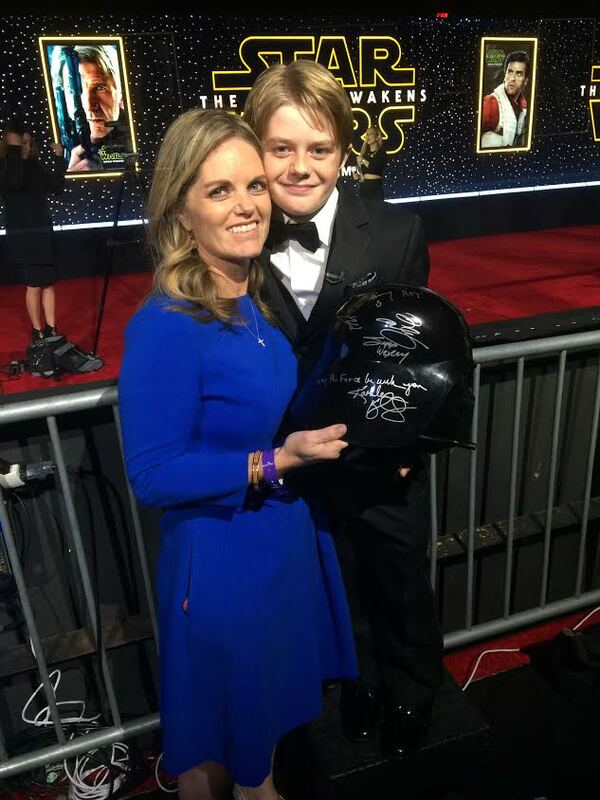 Her son Max was the Mini Darth Vader from the 2011 VW Superbowl commercial. Jennifer speaks nationally about her family’s journey of transformation. She is a special contributor to CNN, Ladies Home Journal, and Cincinnati Children’s Hospital Heart Institute. Once I entered the foreign land of Congenital Heart Disease, I was forever changed. It’s a strange place where I feel helpless and strong … impatient and patient … frightened and peaceful. Raising my son with a life long illness has brought me to my knees, challenged me to dig deep spiritually and eventually hone coping skills necessary for this unpredictable ride. 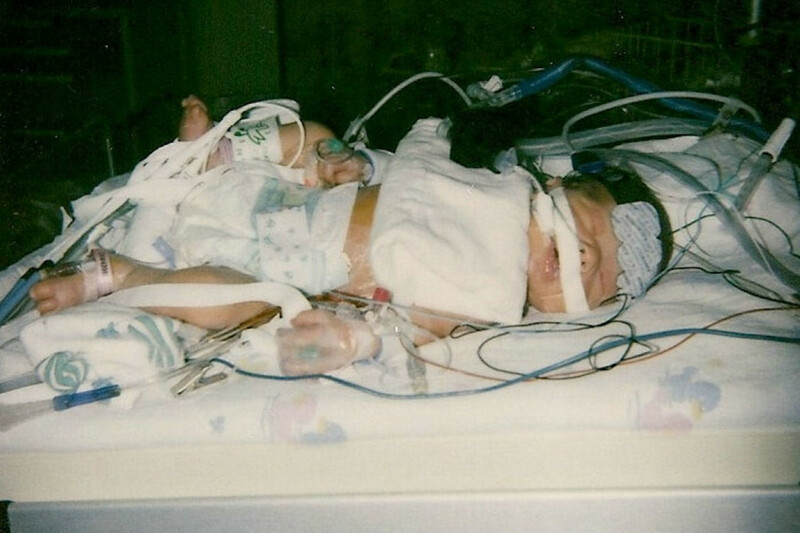 My son, Max, was born with a broken heart and a variety of other complex issues. He is 11 years old and has endured 11 surgeries. Each time we hand him over, we just pray he returns mended and whole. Last summer he was facing 2 surgeries and he wanted to discuss heaven. He cried as he contemplated heaven as a possibility. He whispered he knew he should be happy about heaven – but there is still so much he wants to do. In true Star Wars spirit we have learned how to find and use our FORCE to shine bright in the midst of struggle. F – Forgive – I have learned to forgive people who didn’t even know they hurt my feelings. I have forgiven people who I wished would show up better for me. Most importantly, I have forgiven myself. I didn’t cause Max’s condition. As a mom, I just felt so responsible. O – Optimism – This is a deliberate choice I must make everyday. Robin Roberts, ABC Good Morning America, fought a tough cancer. She wisely said that optimism is like a muscle and you have to work it out everyday, because it takes just a pinhole of darkness to bring you down. So true. R – Receive – At some point in this journey the scales of reciprocity tip and I am unable to repay the kindness and love that people want to pour into my family. I am a much a better giver than receiver. Receiving is humbling and it’s a reminder that I am in need. Allowing the love in has been a huge area of growth for me. I changed by simply saying YES to a nice offer – instead of my knee jerk NO reaction. C – Commit – Grief and gratitude are my biggest drivers. I find that committing to a cause and serving others helps this story make sense. I heal a little more each time I give. Start out small. I’ve found that God will give you amazing ways to make a difference once you commit. E – Experience – Meeting other families and sharing common experiences is one of the greatest blessings of this ordeal. It took me a while to be open with my story. Almost as if I didn’t give it a voice, then it wasn’t real. Now I lean on, learn from and love my heart friends beyond words. There is no right way to handle adversity. If you are like me, you will fumble a bit and eventually find your stride. God doesn’t promise us a smooth ride, but if we keep showing up then he can bless the mess and create something beautiful. 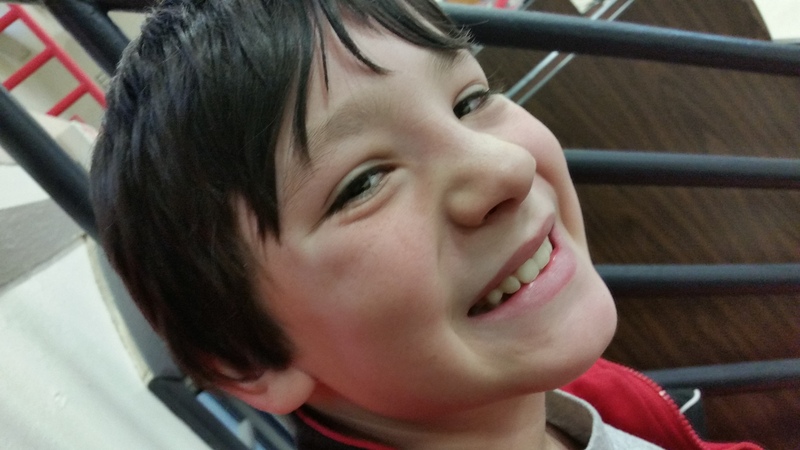 And to you sweet Max … I love being your mom … May the force always be with you. 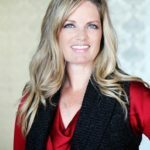 Jennifer Page is a passionate leader with Children’s Hospital Association, Children’s Hospital Los Angeles, several health related charities, manages The Alderson Family Foundation and dedicates countless hours giving back to her community. Before she became Vader’s chauffer, she earned a Communications Degree from University of Montana, played collegiate golf and managed golf courses in Southern California for 8 years. She is forever grateful for the organizations that have helped her son Max flourish despite having a medical challenge. Jennifer lives in Orange County, California with her husband Buck and sons Max and Ellison. Their dog and a turtle round out the zoo! PCHA is honored to have Tori Smith, a volunteer on the Program Committee, speak about her son Sterling. She recently led a bereavement breakout session at the Congenital Heart Legislative Conference in Washington, DC in February 2016. When Sterling died I hurt. Physically. Every inch of my body was feeling the pain of losing my son. In the days and weeks after his sudden death I was barely functioning. Crying and forgetting to eat. 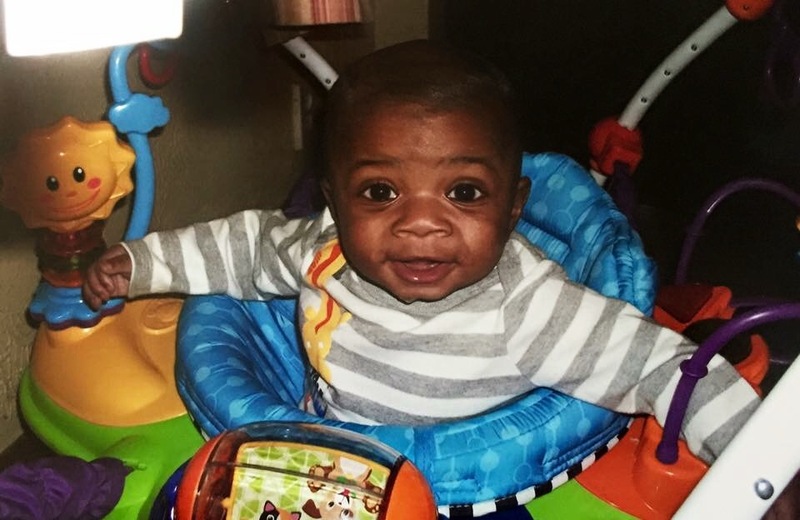 I would replay the moments leading up to his sudden death over and over again looking for the moment when I should’ve known something was wrong with my baby. Looking for the moment when I was supposed to save him. I was exhausted and yet unable to sleep. I was sure this was somehow my fault and afraid I would lose my other sons at any moment. I began looking for help almost immediately. I had never before felt this kind of intense pain or felt this alone and scared. I found some online help from those who had experienced the death of their child as well. While it helped having other moms to talk to who understood, I was still looking for someone to come along with a list or some magic words, maybe a pat on my head, something to take the pain away. I would’ve paid any amount of money and traveled almost anywhere, done almost anything to take the pain away. After going to hear grief experts speak, many counseling sessions and even paying a lot of money to talk to psychic mediums, reading every book I could, looking into many religions for answers, I finally realized something. I was going to have to feel it all. There weren’t any words I was going to hear that would make me feel better. Being honest with myself, the only thing that would make me feel better was waking up from this nightmare holding Sterling in my arms again. And I knew that was never going to happen, not in this life anyway. I realized in that moment that I would need to be my own parent, so to speak. I would need to take care of me. I would need to listen to my heart and let it guide me. I realized that as long as I am living, in many ways, so is Sterling. I began working out at a gym. Every single day I would pack my boys up in the van and drive to our gym. In the beginning I would walk the treadmill, ear buds firmly placed so I wouldn’t have to socialize with anyone new. Staring straight ahead, hoping no one would see the tears in my eyes. I was so tired I could barely walk very fast or get very far. But I noticed when I walked, I would sleep a little better at night. I noticed that I needed that time to myself to collect my thoughts and work out the feelings that weren’t doing me any good. I began adding classes one day and talking to people. I started getting physically stronger. I began feeling alive again. From day one, I was talking about what happened with anyone who would listen to me. Once we knew the name of the monster that took Sterling from us, I began researching it like it was my job. Sharing the facts I would find on social media. Wanting to change the outcome for other parents. I found myself being introduced to people and being asked to share my story more and more. I traveled to Washington, DC, twice, to share my story in the hopes that another family would never have to live this nightmare. 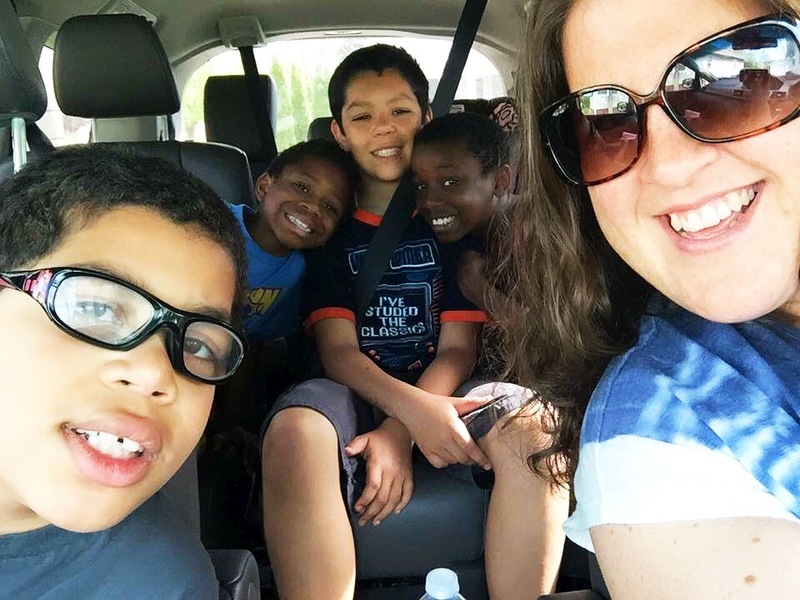 It was never easy leaving my kids, traveling to another state, and talking about the hardest days of my life with strangers, but in doing so, I found healing. I also started a project with our local hospital. I would make little blanket loveys using giraffe material. Sterling had a little lovey and he loved his Sophie giraffe. So I combined the two and attached a card with the signs and symptoms of CHD’s for parents to know what they might be looking for. We would give these out to all the babies born on his birthday at the same hospital he was born at. The next year we had enough for a week, then a month. My hope is to turn it into a year round project. Which brings me to this word, hope. How does one find hope when you’ve held your child’s lifeless body? When you have experienced unanswered prayers for healing in this life. Made funeral arrangements for your baby, the baby you just celebrated his first birthday not even 2 months prior. When you physically hurt from the top of your head, to the point where even your hair hurts, to the tip of your toes. When you feel like you died too. Where is the hope then? It’s there. I promise you that. It’s in the breath you take after your child takes their last. It’s there as you gently cradle their body long after they have left it. It’s in every moment of the hours and weeks that turn into months and years after. It’s the moments when you feel your baby on your chest when you close your eyes in the silence. The moments you decide to go through their clothes and donate or save them. It’s there. Even if you don’t feel it. I promise you it is indeed there. My only advice is to love yourself the way you loved your child. Make sure you eat well. Drink lots of water. Try to exercise, even if it’s walking up and down the street or your own stairs in your home. Be sure to share as much or as little as you feel comfortable doing. Rest. When your heart is shattered into a million pieces and the pain is unbearable, find something that makes you feel again. Find people willing to support you, maybe even push you a little. There is healing, I promise. That is the hope in all of this. 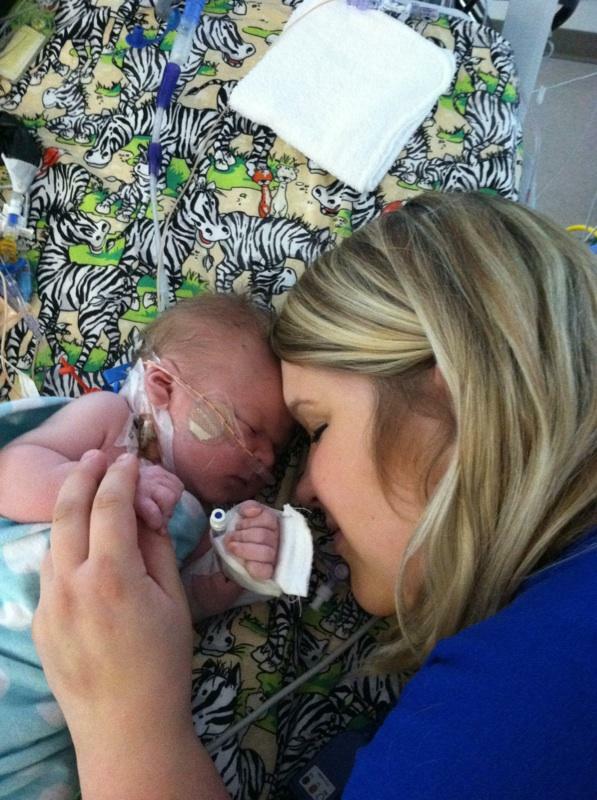 Living when your child has died isn’t easy, but I plan on being here for a long time telling you all about a little boy named Sterling who stole my heart, and I would love to hear all about your sweet child too. Sterling’s Momma and his Bubbas living life with hope, love and joy. 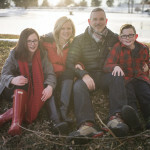 Speaking from her own experience, our recurring guest writer Margaret King joins us this month for the PCHA’s Mothers Blog series with her advice on relieving stress and finding joy. Mother’s Day has come and gone with ads selling products designed to give us relaxation and joy – massages, flowers, jewelry, and more. And if those products bring the desired effect, so much the better. I suspect, however, that some – if not many – of us moms would relish the stress-reducers and joy-givers that don’t cost anything at all. A nap. A full night’s sleep. A sparkly-clean house, even if it only stays that way for a day. Homemade breakfast in bed. Maybe lunch and dinner too. Why not go big? Mother’s Day came for you, hopefully, with a bit of permission to relax. Moments to relax are not just a much needed permission, but absolutely essential for survival and sanity for any caregiver. Sadly, like many other heart parents, I reached a point of crisis in my health before I decided to turn my attitude and life around. If I had known then what I know now … so I’m writing from my learned mistakes to inspire you to reduce your stress, and make every day (or in the least, a few minutes of every day) contain a little bit of the spirit of Mother’s Day. Let go. Remember this journey is primarily your child’s. If you find yourself feeling like you are living your child’s story instead of your own as a heart parent, take a step back. We are our child’s advocate, but we also need to let our children claim ownership over their own story and empower them to tell it as they get older. 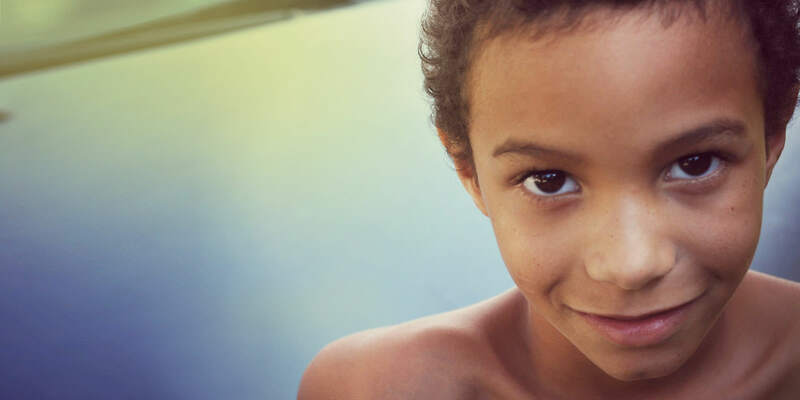 Depending on your child’s developmental stage and age, that can mean anything from getting them to recognize their own basic need, like regulating their physical activity levels or carrying a water bottle to stay hydrated on hot days, to becoming responsible for taking their medications and living a healthy lifestyle into adulthood. It means gradually transferring responsibility for their health and attitude over to them. Remember who you are. Yes, you’re a parent. And not only that, a heart parent. Maybe you have multiple children, maybe you’re dealing with multiple diagnoses, but you’re also an individual. And all people have needs regarding self identity, emotional well-being, and physical health. Just like your child is much more than a diagnosis, you’re much more than a heart parent. Take time for yourself. Get healthy, stay healthy. Stress can weaken your immune system. Add interrupted sleep, or lack of sleep on top of that, and you’re on a fast-track to getting sick more often. This often results in still more stress and poor sleep, creating a vicious cycle. Eat healthy, get cat naps, exercise, or even try deep breathing or meditation. With a million thoughts going on in our heads simultaneously and endless lists we’re constantly checking, meditation can help you focus on the present, letting your attitude readjust and recalibrate. Take a break. Sometimes all we can do is … nothing. There are days when we try to control situations that are uncontrollable. We may tell ourselves, “if I take a break, the world will fall apart.” The weight of this statement has tricked most people into near-breakdown and paralyzing fear at it’s breaking point. We’re willing to run ourselves into the ground before admitting that we need help. When it seems too daunting, take one day at a time. Tell yourself, for as long as you need to, that just getting through each day is enough for now. If a day seems too daunting, take it by hour or by minute. On the show Unbreakable Kimmy Schmidt, Kimmy says she survived by taking life 10 seconds at a time. You’ll look back someday and realize what a tremendous victory that was, and how far you’ve come! Unplug. When the going gets rough and you’re feeling the weight of your family’s situation, maybe you don’t need to see your friend’s Facebook photos from their latest trip to Hawai’i. People who are feeling stressed and anxious to begin with are more likely to compare themselves to what they see on social networking sites. And we all know that it’s not a good idea to compare our real lives with other people’s highlight reels. I once heard the advice, “If you’re not even happy with what you have, why would you be happy with more?” I found this to be a profound message. A simple change in perspective has kept me focused much more on the positive. Find allies who share your situation, but also some who are removed from it. Seek friends and support groups, but stay friends with some of your old tribe, too.This comes with an important caveat: stay friends with those who are positive and supportive, not those who leave you drained and emotionally exhausted. On this journey, you need every ounce of strength and resolve you can muster. You will find out who your real friends are. The ones left standing are the most awesome tribe you could ever ask for–treasure them, and release the ones who can’t be in your life anymore. Wish them well. After all, they’ll need to find new friends, too. Not all of your allies need to be friends or support group members. They don’t need to share your diagnosis at all. Some might be acquaintances, a distant relative or two, a mentor, neighbors. These are people you can count on to always be friendly when you see them, be understanding of your child’s sensory overloads and bad days, and can maybe even pop over and feed the cat for you if you have an unexpected hospital stay. They offer some of the benefits of friendship without the obligations and expectations. Recognize your limits. Be mindful of your warning signs and pull back before you snap. It’s understandable that sometimes our moods are pushed to the limits. Maybe there’s a substitute teacher who forgot to look at your child’s health plan, your child’s prescription co-pay just went up, and you need to call the hospital billing department about the latest total that doesn’t make sense. So when you pick your child up from school, and a fellow mom whips open her SUV door, whacking your child in the head with it (true story! ), you snap. I’ve learned that blowing my top leaves me with nothing but regret, hurt feelings, and damaged relationships. So instead of unleashing a torrent of angry words, thank goodness, I silently herded my sobbing child into the car icily driving away because I had no more polite words left even with the mom’s apologies. On these days were I’m reaching the end of my rope, I take a big step back, take deep breaths and remind myself to remain as calm and pleasant as I possibly can, because it’s just not worth releasing the pressure valve on an unsuspecting neighbor, friend, or hospital employee. Most importantly, be kind to yourself. I fail a lot less, and am more joyful, when I recognize that I am capable of failure. Don’t set yourself up with the pressure of thinking you should, and can, do everything. Think about the people you love, your loved one, a parent, child, good friends, anyone you really care about, and think about how much you long for them to be kind to themselves. Then, extend yourself that same kindness. Give yourself permission. To breathe. To take a step back. To have a cup of tea. To write that memoir or take that kickboxing class. To start that online business or train for that 5K run. To not be perfect. I know you can. Give yourself this gift not just for Mother’s Day, but every day. 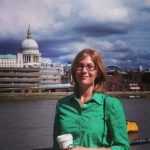 Margaret King is a business content writer and mom who loves spending time with her family, avidly reading, community gardening, traveling, and exploring the outdoors. She is currently working on a young adult fiction series and enjoys flash fiction and science fiction writing as well. Margaret has worked in the past teaching English abroad in Nepal and Mongolia, which she counts among the best experiences of her life, along with her heart family journey which she is so happy to share with our readers. 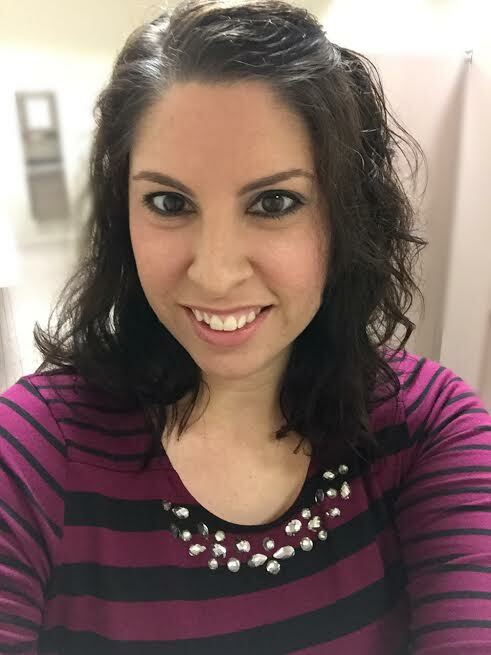 Continuing our month long celebration of mothers, Jessica Chenevert, who is an advocate, committee member, and Social Media Coordinator for the Pediatric Congenital Heart Association, shares how CHD has shaped her perspective on motherhood. There’s changing table stocked with diapers, wipes, and creams. The book shelf is packed and the stuffed animals are all in a row. The blue blanket hangs over the rocking chair. Picture frames waiting on stand-by to be filled with that precious face you are so eager to see. I’ve spent months decorating the nursery, making sure everything coordinates, and I’m as ready as I will ever be. I just want to meet the little man that has been swinging off of my rib cage for the last few months. Will he have my eyes? Will he have his daddy’s smile? I hope he is tall, smart, athletic, kind, and open minded. As a first time expectant mom, my ideas of what motherhood would be like were nothing out of the ordinary. I was a healthy, active 25 year old excited to be a mom. 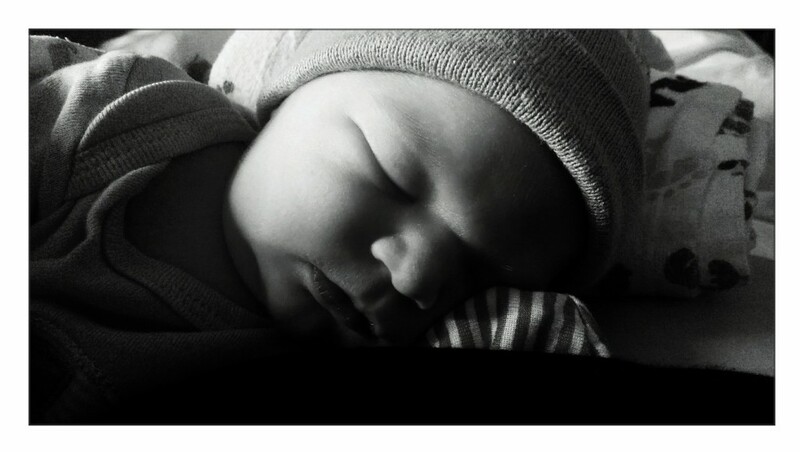 My pregnancy was fairly typical with highs and lows, and everything was on track to have a healthy baby boy. Barrett arrived and it was just like everyone told me it would be. It’s magical, unmatchable, and you are overwhelmed with loving someone so completely. I made this? He was perfect and I was in so much love. Our joy quickly turned to fear when after 20 hours of getting to know our son, we were told that he had developed cyanosis (his skin turned blue) and his pulse was dangerously low. He was prepped to be life-flighted down to Minneapolis Children’s Hospital where he would be diagnosed with Transposition of the Great Arteries (TGA), which is a reversal in the position of the two main arteries (the aorta and the pulmonary) which changes the way his blood circulates through the body, leaving a shortage of oxygen rich blood flowing from the heart to the rest of his body. I had been a mom less than 24 hours. My life was not only changing big time by having a baby but now it was possible I would lose him one day into the job. Was this really happening? Barrett went on to have an arterial switch operation at 2 days old that he sailed through with flying colors. Then, at 13 days old, he went on to have a coarctation repair operation. 4 days later and we were getting in the car for a 5 hour car ride home. Did that really all happen in 19 days?! This is not what I expected being a new mom would be like. What now? As I wondered what my next step as a mother to this little boy should be, I spent time getting to know him, wire and tube free, and establishing a routine for feeding, sleeping, and meds. There are challenges we face every day, both of the typical toddler variety and the toddler with a lifelong disease variety, and through it all I have learned a lot more from my 21 month old than he has from me. Watching him overcome, battle, and grow through his disease has inspired me, empowered me, and enabled me to continue to change my perspective of motherhood and what it means to me as if it were a living breathing thing on its own. Did I expect motherhood to provide me with daily challenges? Yes! Did I expect motherhood to throw me a curveball on day 1? No, no I did not. All you want as a mother is to have your child safe, happy, and healthy. As the mom of a child diagnosed with CHD, you have to come to terms with the fact that you can keep him as safe as you can, you can love him so he is the happiest kid on earth, but you can’t fix his broken heart and there is an uncertain future that you have to come to terms with. So, on one hand, Barrett’s life with CHD has changed my perspective on motherhood immensely just based on the fact that I didn’t see CHD coming. On the other hand, it has not changed it at all because the day I became a mom is the same day I became a heart mom. I know no other way to be a mom. I am Barrett’s Mom and he is without a doubt the best thing that ever happened to me. He makes me strong, he makes me brave, and he inspires me to fight alongside him. My heart warrior has taught me that life happens in an instant, anything can happen at any time, and I need to stop feeling guilty about not being able to control that part. I can control my impact on CHD and if you know me, you’d know that CHD should be a little scared. I am one of those feisty, smart-mouthed, short Swedes that frankly just looks terrifying coming at you with mom bun hair, beady little enraged eyes, and the smooth stride of a velociraptor. I’ve never been good at just being a participant. I like to be armed with information, as involved as I can, and be someone that others look to for whatever they need. I joined PCHA by deciding to fly solo to DC for the Congenital Heart Legislative Conference, and share our story with Members of Congress. I wanted to make a difference for Barrett’s future, connect with a community who gets it, and to fuel this newly found passion that my hero showed me the way to. It worked. I am hooked. If Barrett is going to battle CHD his entire life, well then I am too. PCHA is fortunate to have Jen DeBouver share her experience and advice on pregnancy after CHD. She is currently expecting Nina Delilah, her rainbow baby, a child born after a miscarriage, stillbirth, or child loss, this August. It came as a total surprise. Pregnant after 3 ½ years since losing my son Asher to CHD. So many emotions started pouring through me – excitement, happiness, fear, anxiety, complete worry. Unfortunately, I have been through two separate big losses. My daughter Olivia was stillborn from what we believe may have been a blood clot due to not knowing I have MTHFR, a gene mutation, in November 2011. 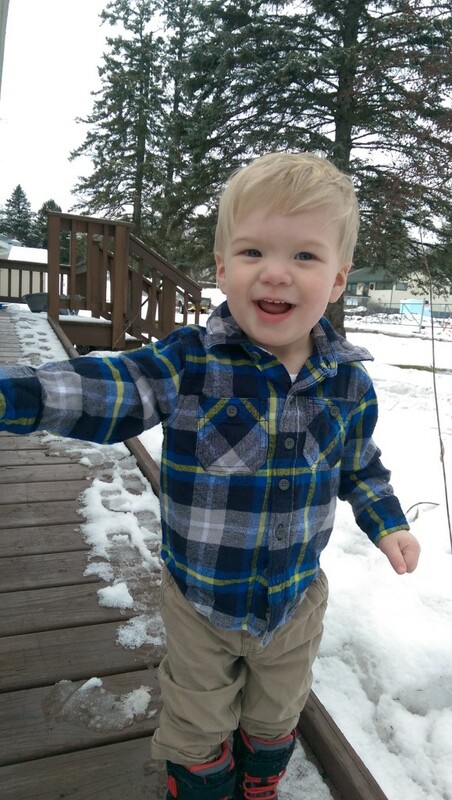 11 months later, my son Asher lost his battle to CHD after developing blood clots. He was 6 weeks old. As soon as I found out I was pregnant, I called my doctor’s office. I needed to know what the plan was for this pregnancy. How were we going to prevent another loss? Did the baby have CHD? I wanted to make sure I did everything in my power to make sure this baby was as healthy as could be. Since doctors in the past told me Asher’s heart defect developed before I even knew I was pregnant, I knew the first trimester was the most critical. As moms affected by CHD, we can make ourselves go crazy thinking if we had only eaten this, or done that, then maybe this wouldn’t have happened. I am very fortunate in this pregnancy to have exceptional care. I have an OB that completely understands my situation and has told me that it is OK to request extra ultrasounds and call him with any worries, no matter what time of day it is. Having a considerate doctor like mine is very important when you have such a terrifying pregnancy. I have an ultrasound every month with either my OB or my high risk doctor, and if there isn’t one, I schedule one for the piece of mind that my baby is doing all right. With this pregnancy, I have two fears. Will Nina have a healthy heart? Will she live till birth and thereafter? I had my 20 week full anatomy scan recently, and was a complete wreck leading up to that appointment. At first, I compared Nina to her sister and was convinced she would be stillborn before we even made it to the appointment. Then, I cried the entire drive on the day of the appointment because I was so worried that we would find out she had CHD. On top of this, I was also nervous about the doctor and staff since it was the first time meeting my maternal-fetal medicine doctor. Thankfully, from the start, the nurse was nice and the ultrasound tech was amazing. She went over everything during the scan and told us exactly what she was looking at and the outcome. 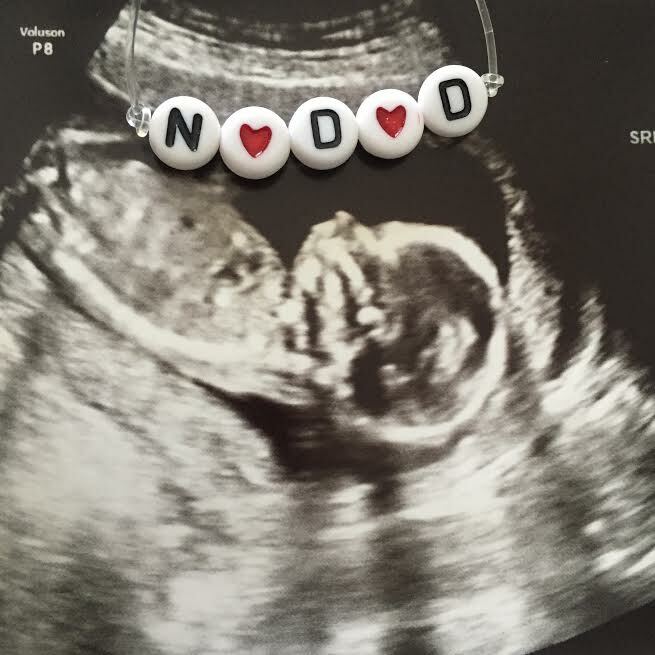 She checked for all of Asher’s heart defects and let us know our baby girl’s heart was healthy! After our scan we met with the doctor who was happy to tell us we were having a normal, healthy daughter. We have an echocardiogram scheduled soon just to look more in detail at her heart, but the doctor told us this was more for our reassurance and that they didn’t expect to find anything. Being in the CHD world, I know anything can happen between now and then, so there are still those worries that something could still show up, but they aren’t as strong as before. The worries with her being healthy will continue until she is in my arms, and probably long after. Find an OB that understands your fears. Find a doctor that is understanding to your situation. If not, it will only cause undue stress. There are always other doctors, research and find one that you are comfortable with. If you feel you need it, request additional ultrasounds, echocardiograms, or tests. Talk to your doctor about additional tests that will give you peace of mind. See a counselor to discuss your fears. Counselors can be very beneficial in listening and helping you work through erratic thoughts, worries or stress. They can develop a plan to help you find peace and calmness. A high risk pregnancy comes with a lot of worry and stress, neither are good for you or the baby. Find ways to practice self-care, such as yoga, meditation, and even relaxing baths, to help reduce any stress. Having people that will listen can make a big difference. Talk to your support system about your pregnancy concerns, worries, or thoughts. This can be family, friends, or a support group. Rely on these people for support throughout your pregnancy. Jen, a huge advocate in helping those that have lost children, started her own foundation, Asher James Foundation, after losing her son to CHD and blood clots. 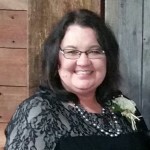 She is the Bereavement Coordinator for Mended Little Hearts National and Chicago. 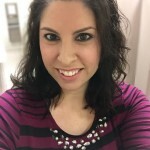 Jen works as a Management Services Specialist for the Department of Labor and has a Bachelor’s in Sales & Marketing and a Master’s in Human Resource Management. She also served 4 years in the U.S. Army, and met her husband while stationed in South Korea. 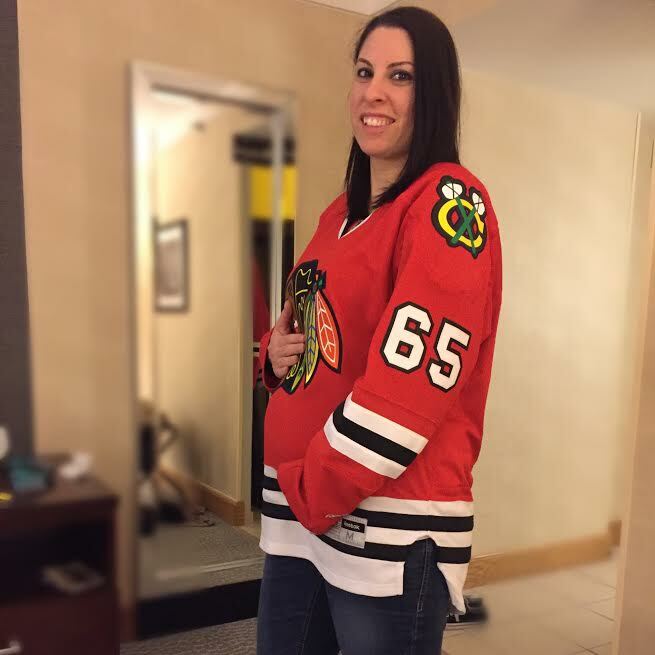 Jen is also involved in Native Veterans of Illinois. You can follow her journey of expecting Nina Delilah, her rainbow baby, this August on her blog, A Rainbow After All. 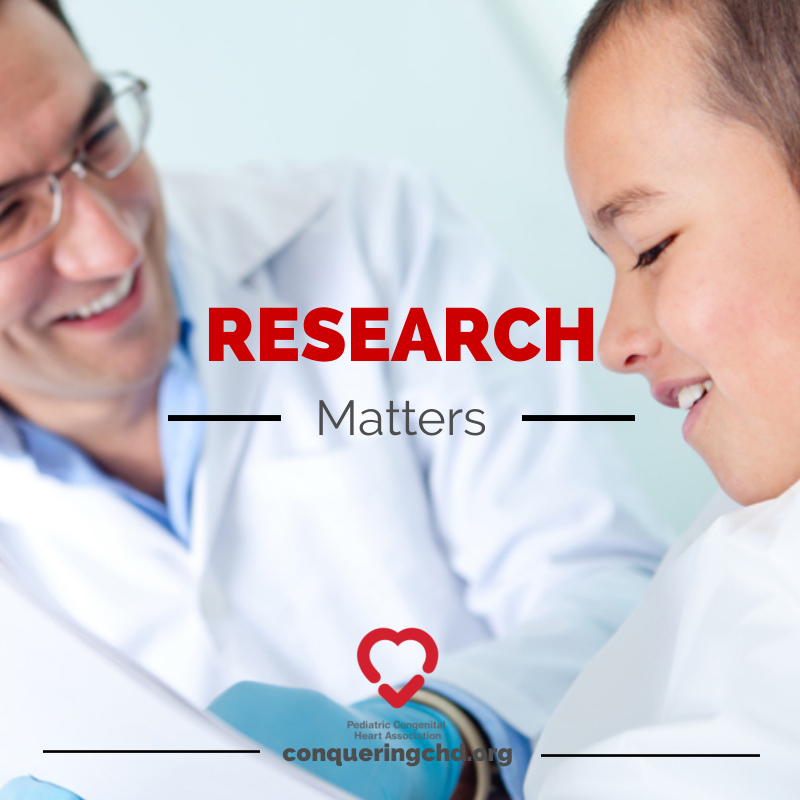 The Pediatric Congenital Heart Association is thrilled to bring our latest in the series titled Research Matters. In our commitment to make research meaningful and accessible to patients and families, volunteers along with members of our Medical Advisory Board have created summaries of important research and describe what it means for you. Plastic bronchitis (PB) is a rare but life-threatening complication that can arise following the Fontan procedure. PB patients develop large, rubbery plugs or “casts” that obstruct the airways and can lead to asphyxiation. Problems of the lymphatic system, a network of organs and vessels that drains fluid (lymph) from tissues and protects the body from infection, are thought to play a role in the disease process, but how PB develops remains poorly understood. The journal Circulation recently published a study reporting findings of abnormal circulation of lymph fluid in most patients with surgically corrected congenital heart disease (CHD) and PB and significant improvement of symptoms in these patients following interventional approaches to block the abnormal flow of lymph. These findings highlight an innovative procedure that has the potential to offer significant long-term improvement of symptoms in patients with PB. You can view the abstract here. This retrospective study expands on a previous case report1 and determines the extent of abnormalities in the lymphatic system of PB patients and the clinical response following interventions to block improper lymphatic flow. A retrospective study looks back in time using existing medical data and records. The retrospective case series comprises 18 patients (between the ages of two and 15) with PB and surgically corrected CHD who underwent lymphatic imaging and interventions at the Children’s Hospital of Philadelphia. The authors use advanced lymphatic imaging tests, including dynamic contrast-enhanced magnetic resonance (MR) lymphangiography to determine the anatomy of the patients’ lymphatic systems and the patterns of lymphatic flow. In 16 of 18 patients, lymphatic imaging revealed abnormal (retrograde) flow of lymph fluid from the thoracic duct into lung tissue. Lymphatic embolization, a procedure that seals leaks in the lymphatic system using coils, special oil-based contrast agents or glue, was performed in 17 of 18 patients. Significant improvements in PB symptoms were observed in 15 of the 17 patients who underwent lymphatic embolization at a median follow-up of 315 days. Immediate complete resolution of PB symptoms was reported in 10 of 16 patients, with one patient being cast-free for over two years. Abnormal pulmonary lymphatic flow, which the authors termed pulmonary lymphatic perfusion syndrome, is likely to be a major underlying cause of PB in Fontan patients with elevated central venous pressure (CVP). Advances in lymphatic imaging tests will enable the detection of lymphatic flow disorders in PB patients that may go undetected using conventional methods. Selective lymphatic embolization provides a safe and effective alternative to surgical thoracic duct ligation, which has also been used to treat PB. 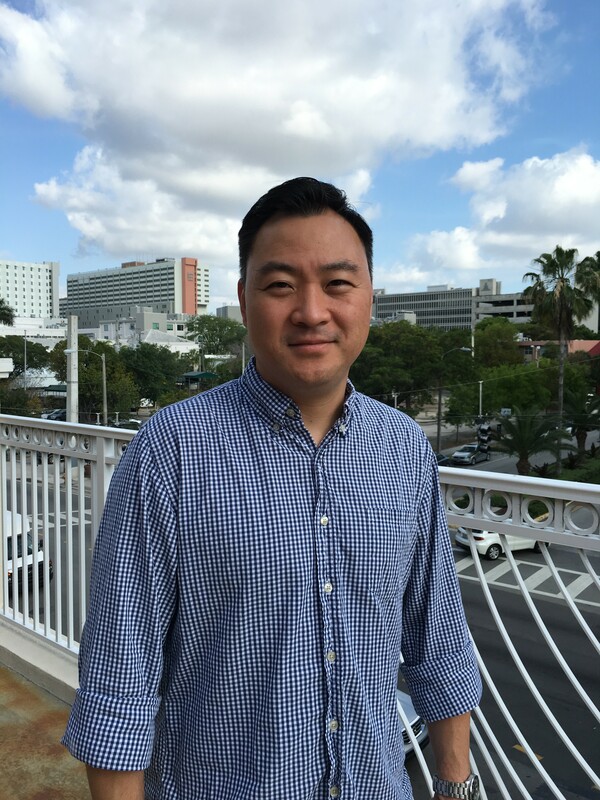 Although short-term results are encouraging, the medium- and long-term effects of lymphatic embolization in PB patients remain unknown. A study that follows patients over a period of years (a longitudinal study) will be required to determine long-term outcomes of this treatment. This study provides hope for PB patients and favorable long-term treatment outcomes have the potential to mitigate the need for heart transplantation in sufferers of PB. 1 Dori Y, Keller MS, Rychik J, and Itkin M. Successful treatment of plastic bronchitis by selective lymphatic embolization in a Fontan patient. Pediatrics. 2014;134:e590-e595. 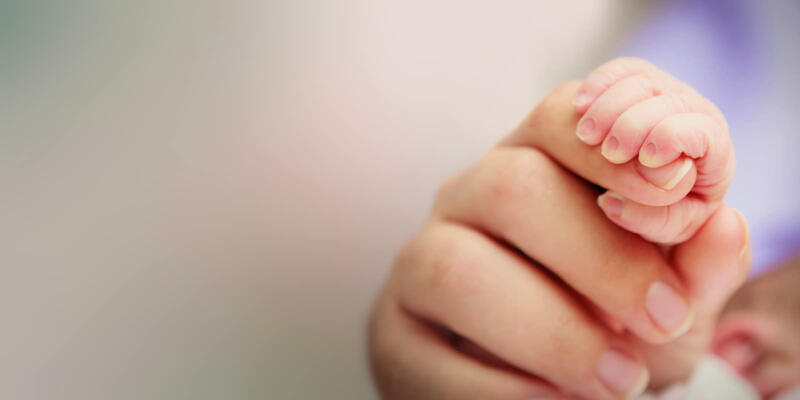 Throughout May the Pediatric Congenital Heart Association is honoring Mothers by covering relatable topics through our guest blog posts. To kick off this month, we have five amazing moms of children diagnosed with CHD joining us for a Mother’s Q&A Panel. Thank you for taking the time to share with us! Let’s get started with introductions. Can you tell us a little bit about yourself? Jennifer Kasnic: I’m a wife and homeschool mom of two, one who was born with TGA (Transposition of the Great Arteries). I learn everyday from her how disabilities can be overcome. My husband, David Kasnic, is co-founder of PCHA, and tireless advocate for Congenital Heart research. Esther Kinney: I’m a mother to four sons and one daughter, and a registered nurse since 2009. 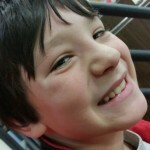 Gina Ten Pas: I’m mother of 4 year old John, diagnosed with HLHS, from West Des Moines, IA. Sara Schuh: I’ve been married for 18 years to my husband Tim and we have 3 kids, 2 girls and a boy, who keep us very busy in Wisconsin! I’m grateful for all of the inspiring kids and families we have met. When I’m not doing kid stuff I spend my days at Just Orthodontics where I get to work with an incredible group of people as we create beautiful smiles for our patients of all ages. Stephanie Dorko Austin: I’m a North Carolina native, and live in Raleigh with my husband Will and our awesome and amazing daughter, Maggie. 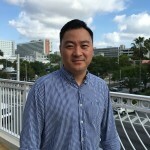 I work as a political fundraising consultant and serve on the Board of Trustees of Follow the Child Montessori School and the development committee of the Frankie Lemmon School. First of all, how was your child diagnosed with CHD? Jennifer: Piper was “blue” when she was born, so she was put on a ventilator then transferred to Children’s Hospital where she was diagnosed with Transposition of the Great Arteries (TGA). Esther: During the routine growth ultrasound, the perinatologist noted that the left side of my daughter’s heart was smaller than it should be, so he ordered a fetal ultrasound, which is where we received the diagnosis. Gina: It was a routine ultrasound around 20 weeks gestation. You know, the one when you find out whether a baby boy or girl is joining the family. The days following diagnoses were very sad but we were happy to discover that it was a little boy growing inside me. 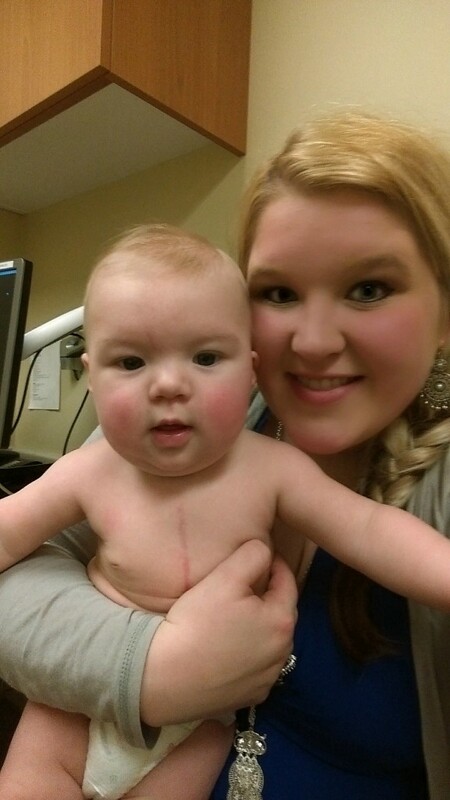 Stephanie: One day after her birth, she had a heart murmur. 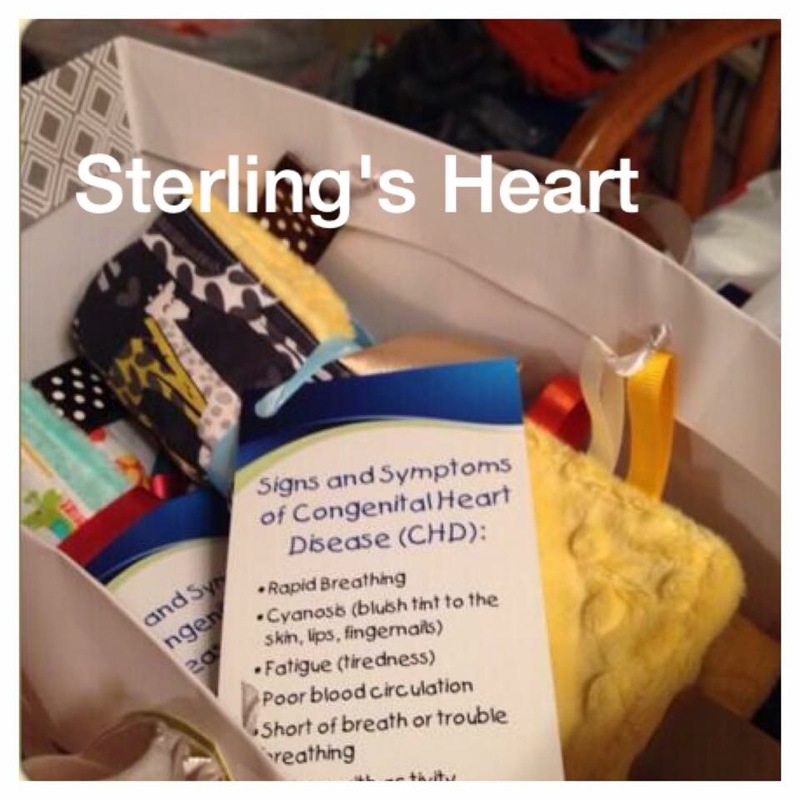 Sara: A disturbing heart murmur was found at a doctor’s appointment for strep throat and after several more appointments her CHD was discovered. She was 4 ½ years old. Looking back on finding out your child’s diagnosis, what is one thing you’d tell a mother who has just learned her own child has a CHD? Stephanie: You are not alone, there is a community of heart mamas who can and will help you. Jennifer: Ask your doctor a lot of questions to ease your anxiety. There are many good outcomes, so try to stay positive. Esther: Initially, I would listen and allow her to lead the conversation. I would answer as many questions as I could, and then help her find answers for the others. Sara: Take care of you, which will be the furthest thing from your mind during this time. The last thing you do is think about what you need, but your child and your family will need you to be at your best. What ways do you manage your worry or stress from dealing with CHD? Sara: Talking to other parents and hearing their journeys, what has worked for them and what has not. Sometimes it’s hard to know which way to turn and someone may have just the answer you need, or be able to send you in the right direction for support. Esther: Connecting to others through Facebook support groups and the subsequent friendships are the primary ways I have dealt with the stress. I also continue to engage in regular therapy with a psychiatrist and psychologist. Gina: I cling to God’s promises. I remind myself that I am right where I need to be and I’m caring for one amazing fighter. 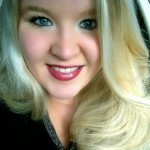 Jennifer: Talking with others with CHD children, keeping current on Cardiology appointments, and prayer. And, what do you love most about your child? Esther: Every single thing! If I had to choose one thing, I would pick her smile. The right side of her face is permanently paralyzed, but her lopsided smile is absolutely perfect! Stephanie: Her huge personality and awesome sense of humor. Jennifer: Piper is quiet but has a true fighting spirit. She is kind and patient. Gina: I love my son’s humor. We are still celebrating April Fool’s Day at our house! Sara: How her strengths shine so brightly through her eyes right to her very compassionate soul. Her concern for others is heartwarming! Is there anything you wish you could have done differently with your child’s care? Jennifer: I wish I could have been informed at birth of the severity of the problem, instead of waiting for hours without my child. I also wish that I could have held her more before she was transferred to Children’s. Gina: I wish I would have found a trusted team of doctors sooner than what I did. Everyone among the knowledgeable was telling me to get a second opinion, but I was too overwhelmed to act. Esther: I would not have allowed providers to make me feel badly about choices I made regarding the location of her care. Sara: Looking back I wish that I would have asked more questions and reached out to other families for their support. Esther: Juggling the responsibilities of motherhood. In addition to my daughter, I also have four sons. I wanted to make sure that they didn’t feel lost in the chaos. Gina: Navigating the complexities of the pediatric heart world. I’ve been in this world for five years now and I still can’t wrap my mind around it. 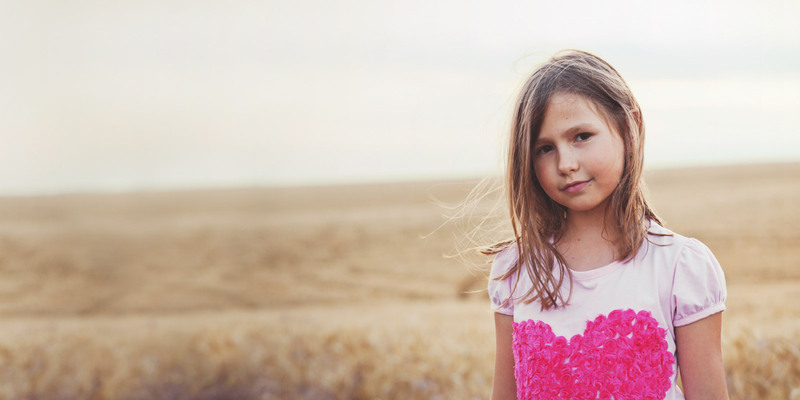 Sara: Like many, I felt guilt that I did something wrong, that this happened to her and that she went undiagnosed for so long fighting to survive and through all those appointments and my endless questions somehow her CHD was still missed. Jennifer: Probably the developmental delays that we have experienced but were not warned about. It was frustrating and I felt at fault. As CHD impacts the entire family, what ways have you supported your spouse or CHD siblings? Jennifer: Trying to stay positive in tough situations. As for siblings, trying to make them feel special at other times when they are not receiving as much attention. Esther: I translate medical terminology into understandable terms. I researched the child life program at the hospital and connected my children with the resources, and I coordinated therapy for one of my sons – he no longer needs it. Gina: I let my other children know that they too are of utmost importance to me and I love them very much. We have family meetings when we need to pull together for our little heart warrior. Sara: Keeping everyone on the same page and informed about what’s happening with any of her appointments.This alleviates some of the fears siblings and other family members may have. We also make time for her siblings with us. They were feeling like she was getting all this special time with us, even if it was for doctor’s appointments. Jennifer: Try to remind her that she is special just the way she is, that she has overcome a lot and even though some things are harder, she is not a failure. Gina: I’m not gonna lie, this is tough to see. He’s only four and he has now caught up with his peers but when he was recovering from his stroke, it was unbearable at first. I would give myself a mental pep-talk, reminding myself that God is one step ahead of us and doing what’s best for all of us. 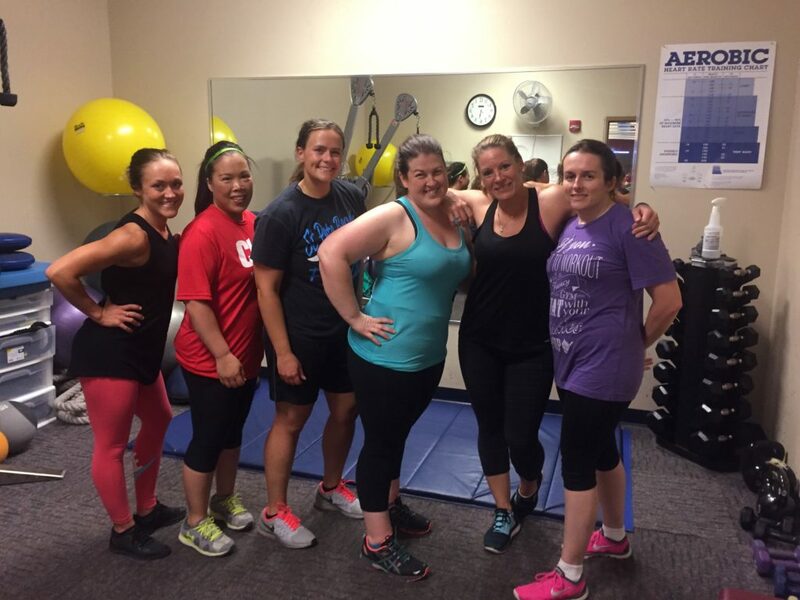 Sara: She gets frustrated when her body cannot keep up with her, but I continue to encourage her to do as much as she can. We try to encourage her that everyone has different skills and to use what abilities she can contribute. Esther: My daughter is not old enough to be aware of any differences. I expect the most difficulty will come from the social stigma associated with her face instead of her heart condition. How do you prepare your children for questions or comments about their scar(s)? Stephanie: We have always talked openly about her surgery and her scars. My supportive sister who has Tetralogy of Fallot (TOF) has never had any trouble with hers, so I have been very open and honest about it. Sara: Her scar is a very big struggle for her and she goes to great lengths to cover it up any chance she gets. We continue to tell her that it is a sign of her strength and that we, and those who love her, are very proud of her. That scar may not feel like a gift but it is. The gift of life! As a mom, it is a reminder that when she’s upset about it, to try to be understanding of just how different it can make her feel and to be supportive as she learns to tell her story and share her journey to help others who struggle as she does. Jennifer: Explain to her about her surgery (why the scar is there), that it is a sign that she survived and she should not be ashamed of it. Be proud! As CHD is a lifelong condition, what ways are you preparing your children to care for their hearts into adulthood? Jennifer: Educating her on how to care for her own general health, but also to keep up Cardiology appointments and dental appointments. Her health is not something that she can overlook. Gina: When I give him his medicine, I say the individual name of each med right before I give it to him. Since some of these meds will be with him throughout his life, I think it’s good for him to learn the name as soon as possible. Stephanie: We talk a lot about healthy living and we make her annual cardiology appointments as normal as possible. Having my sister as a role model helps a ton. 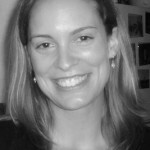 Sara: We encourage her to ask any questions she has at any of her doctor’s appointments and let her know how important her care is to us, but also how she must feel comfortable with talking to the doctors and their teams about what makes her heart different, and that working as a team is the best for her so her concerns matter. And lastly, what is the greatest thing your child with CHD has taught you? Jennifer: Be brave in the face of overwhelming odds and trust others. Esther: Never underestimate a mother’s intuition when it comes to the medical needs of their child. Stephanie: To treasure every minute and every day with her and with everyone I love. Sara: That just when you think you have given everything you have somewhere deep inside you have more and that together you will get through each hurdle. Gina: I’m humbled. I no longer have all the answers. My life is not as structured as it used to be. Somehow, in the midst of beeping machines and heart monitors, life became more peaceful, more beautiful, and more meaningful than before. Thank you all for your insight and words of encouragement. If you’d like to join mothers, parents and those affected by CHD help conquer CHD, become a part of the PCHA community by signing up to join our network, and remember to follow us on Facebook!